You can now buy remote controlled lawnmowers online. 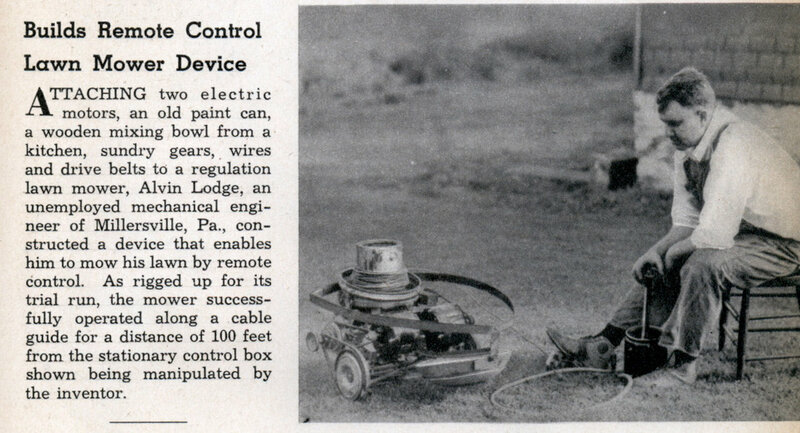 Attaching two electric – motors, an old paint can, a wooden mixing bowl from a kitchen, sundry gears, wires and drive belts to a regulation lawn mower, Alvin Lodge, an unemployed mechanical engineer of Millersville, Pa., constructed a device that enables him to mow his lawn by remote control. As rigged up for its trial run, the mower successfully operated along a cable guide for a distance of 100 feet from the stationary control box shown being manipulated by the inventor. There was a Popular Science story where a self propelled mower mowed a spiral section of the lawn. It was tied to a wooden spool with a rope. @jayessell: It’s a little bit more interesting than that; Roy Doty, the artist behind the comic series “Wordless Workshop”, that appeared in Popular Science – came up with his own method to such a mower, and published it in the August 1969 issue (page 143) of the magazine (look it up on Google Books). Immediately following the comic strip on page 144 is an article entitled “Tethered Mowers Go Around and Around” – which shows Roy Doty with his mower, as well as that of another individual who came up with the idea separately (William A. Bowditch), and much earlier apparently. I’m pretty sure the idea wasn’t new, and pre-dates both men’s experimentation; only the application at the time to a home mower was something novel. IIRC, something like this was detailed in some older “science” magazine many decades before (for farm use or similar, I think). 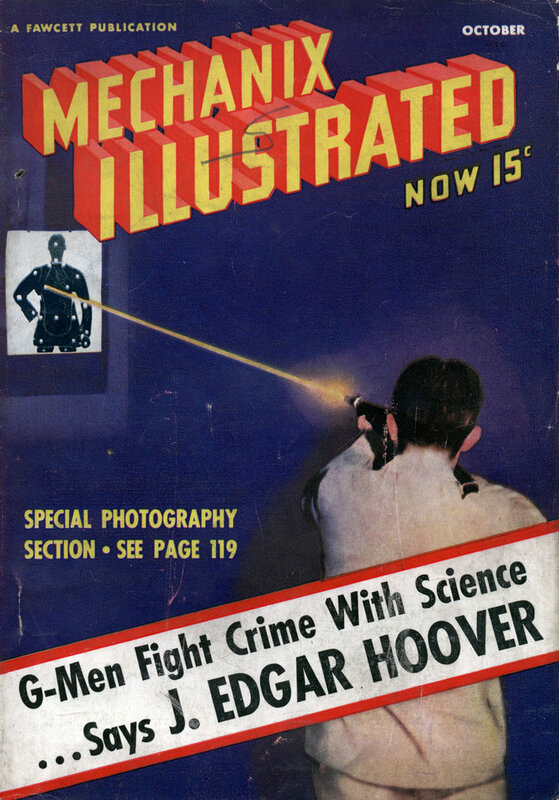 Even so, that was one of the more interesting issues of Popular Science for that intersection between reality and “fantasy” for the cartoon.